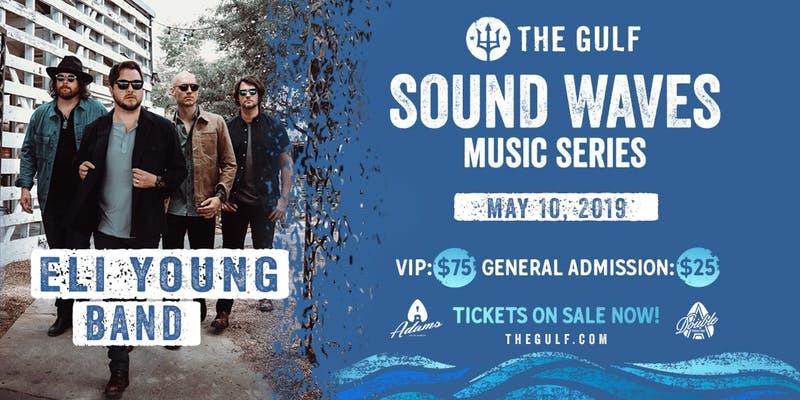 The Sound Waves Music Series at The Gulf continues on May 10th with Eli Young Band. This is a show you won't want to miss! Gates open at 6 PM and this is an all-ages event. General Admission is $25 in advance and $30 day-of.